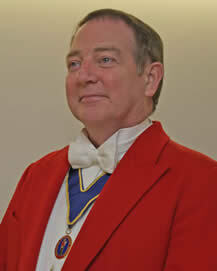 Covering Warwickshire and the West Midlands, Michael 's experience as Toastmaster / Master of Ceremonies makes him the perfect choice for your weddings, banquets, ladies nights and social functions. From greeting the reception-guests, announcing the receiving line, announcing in the bride and bride groom, saying grace, introducing the speeches, assisting with presentations and liaising with host, caterer, band & DJ, Michael will guide you through the protocol and etiquette of the day. Some of the Warwickshire venues, including wedding and corporate venues, that Michael will be pleased to work at for you.